Warm, slightly spicy soup is a quintessential fall staple. 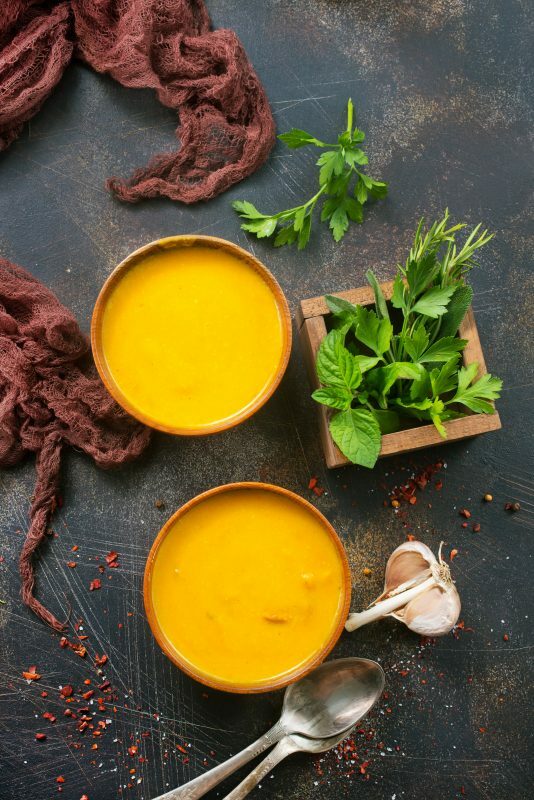 Embrace nature’s seasonal rhythms with this nourishing pumpkin curry soup, which contains 60 an optional milligrams of CBD oil. Cozy nights in just got even more relaxing. This soup is simple enough for a weeknight meal, but sophisticated enough to grace the holiday dinner table. -Be sure to buy 100% canned pumpkin puree, (not pumpkin pie filling, which is sweeter and has spices and other additives). -Fresh pumpkin can be used. It has more moisture than canned, so reduce the amount of broth to 2 cups and then increase as needed. 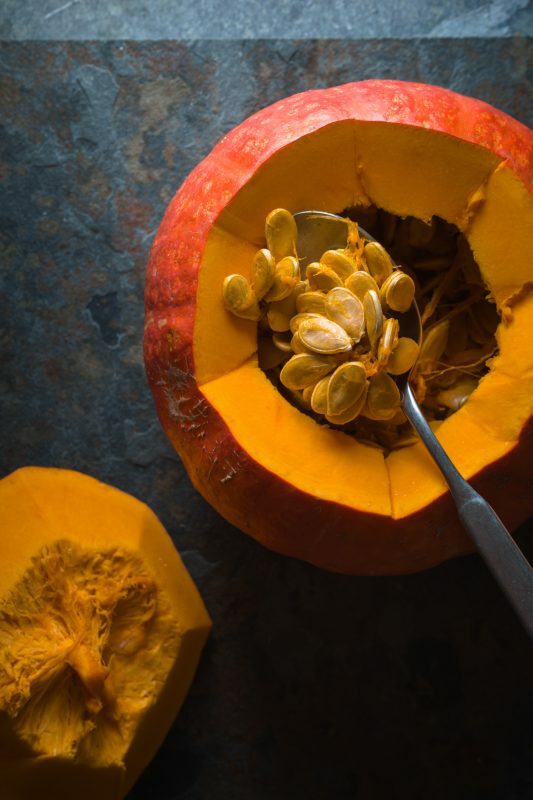 Fresh pumpkin should be roasted or steamed, then cooled to handling temperature before being scraped from skins. Proceed with recipe as written. 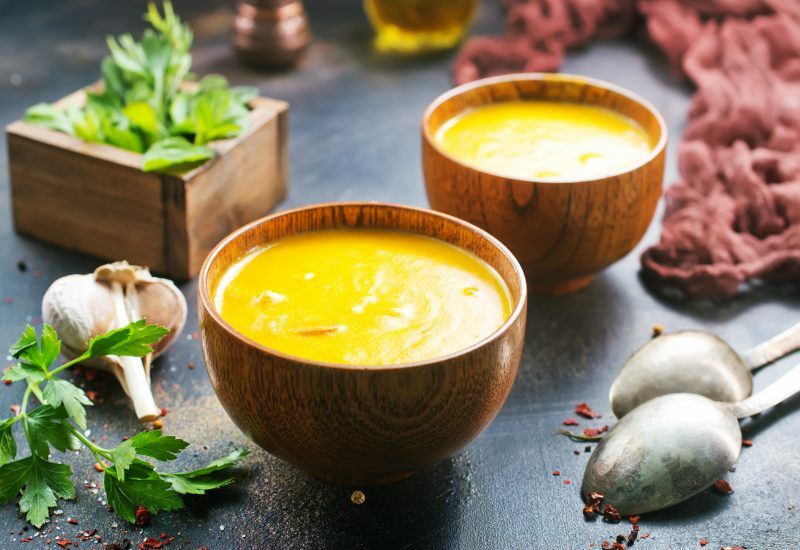 -The warm, bold flavors of this soup render the CBD oil nearly undetectable. -Always label foods & beverages that are enriched with CBD. 1. In a deep soup pot, heat coconut oil over medium-high heat. Add onions and garlic with a pinch of salt and cook until translucent, about 5 minutes. Mix in vegetable broth, curry powder, salt, coriander, and red pepper flakes. Stir until mixture comes to a gentle boil. 2. Cover and boil 15 minutes, stirring occasionally. 3. Whisk in the pumpkin and coconut milk, then cook an additional 5 minutes. 4. Working in batches, transfer the soup to a high-speed blender and blend until smooth. Alternately, an immersion blender can be used directly in the soup pot. 5. When the soup is smooth, add CBD oil and pulse just to incorporate. 6. Return to soup pot, if serving immediately, or glass jars if storing for later. Serve with shredded rotisserie chicken, chopped cilantro, green onions, chopped peanuts, and tangy plain yogurt. 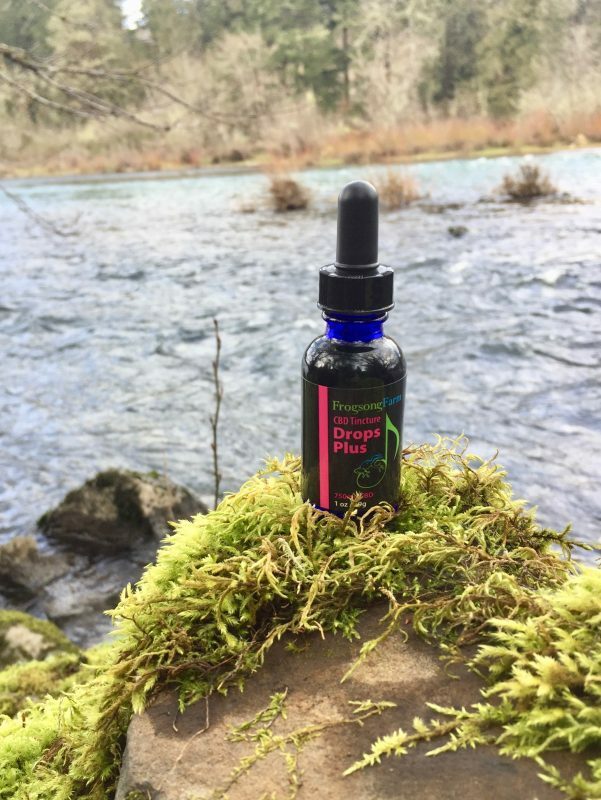 This entry was posted in Products, Recipes and tagged autumn, CBD oil, CBD recipes, cbd tincture, cooking with CBD, curry soup, fall cooking, fall recipe, farm cbd, frogsong farm cbd, frogsong farm cbd oil, full spectrum cbd, full spectrum hemp oil, hemp extract, hemp oil, how does cbd taste, Oregon farming, organic cbd oil, organic cbd tincture, pumpkin curry soup, pumpkin soup.